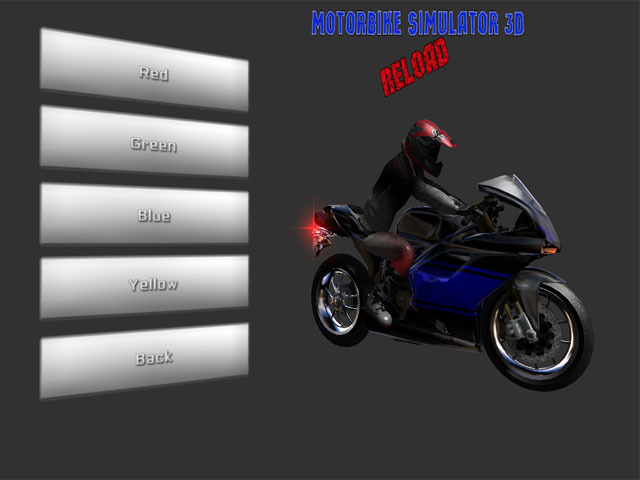 Feel like a real racer in the dynamic game Motorbike Simulator 3D: Reload! If you`ve always dreamed of learning to ride a motorcycle then this game is for you. You may skip to any time and choose any color of bike to fit your taste. Fly through the sand dunes, or just ride on the pavement, watching the scenery. Good Luck!